Maybe we should be eating crow given the loss of our preferred candidate. Or humble pie. It was Republican candidate Herbert Hoover who promised “a chicken in every pot” if he was elected in 1928. That didn’t work out so well for the country. Trump’s “pie in the sky” might not work out either. Our dinner was a chicken breast, mashed potatoes leftover from veal shank night, spinach. A little leftover chicken gravy topped it. 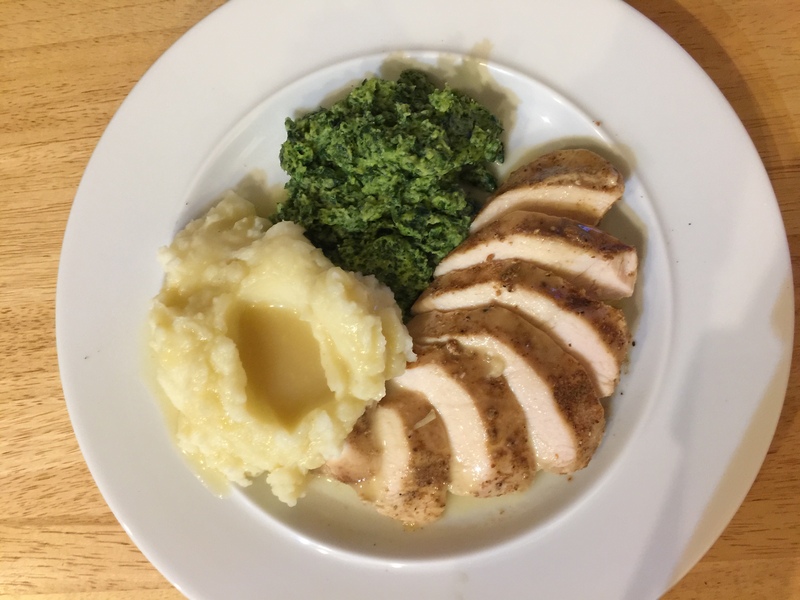 This entry was posted in leftovers, Poultry, Vegetables and tagged chicken breast, mashed potatoes, sous vide, spinach. Bookmark the permalink.